Our mission is to be recognised as an enterprising civic university that addresses real world challenges. We want to be recognised for providing a personalised and practical education that will set graduates up for a successful career and prepare them to hit the ground running. Our teaching is accredited, applied and professional, while our research creates new knowledge with practical applications, helping to find solutions to global issues. We've built strong links with local and international partners, creating new global opportunities while engaging with our communities and widening participation. We make sure we have the right facilities, systems and people to deliver our strategy. We are known for working to a high standard and providing a quality service to all. Everyone takes personal accountability and responsibility, leads by example and inspires others. We communicate with transparency and respect, creating a working and learning environment based on trust. We celebrate being a diverse and vibrant community, where there are no barriers to inclusion and where we view the differences between people as a source of strength. We are innovative, generating ideas and opportunities that are useful in solving problems and enhancing the reputation of the University. Equality and diversity: Our Equality, Diversity and Inclusion Policy (PDF File 251 KB) sets out our aims to ensure that everyone who studies and works here does so free of discrimination. Customer service: We work in partnership with the Institute of Customer Service to improve our services to customers. 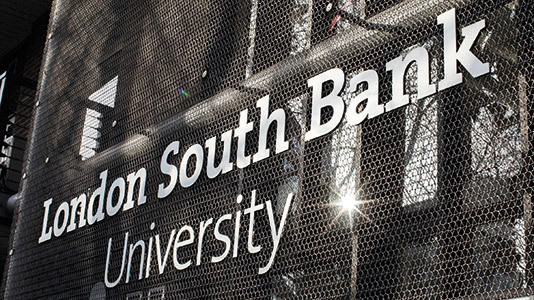 Health and wellbeing: We’ve been acknowledged for our work to make LSBU a safe place for all and developing a culture of wellbeing. Armed forces: We’ve been recognised for supporting the needs of the military community.